Scotland is notorious for 'invisible' repeats, that is, folk doing problems and moving on quietly, which in many ways is a humble and respectful response to climbing, what does it matter as long as you enjoy it? 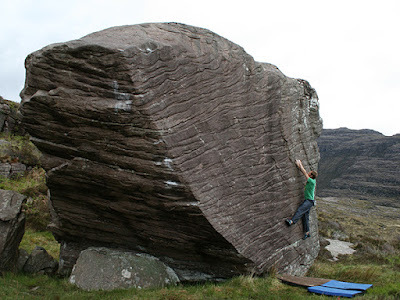 Still, I believe a good boulder problem should be given a nod occasionally. 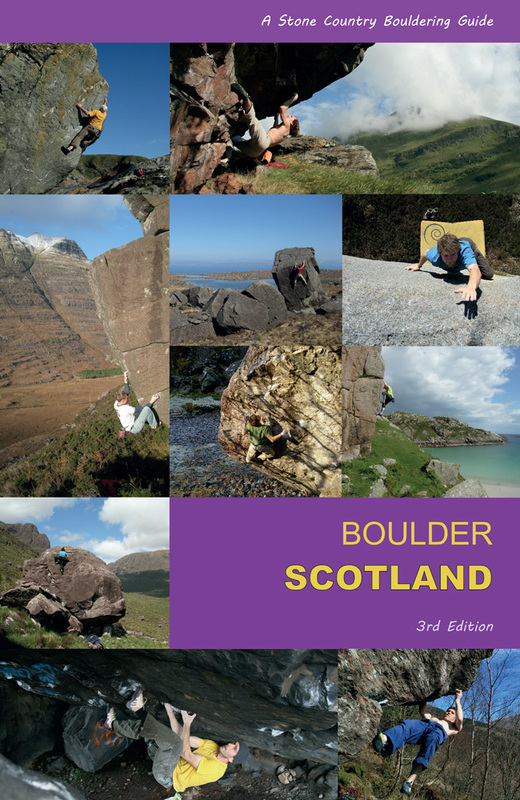 Also, it is often hard to guage where Scotland is in terms of bouldering development. Dumbarton may be the test-tank for the hardest problems and well-documented and repeated (or not! ), but who is out there repeating the stunning lines around the rest of the country? Well, plenty it seems. Niall McNair is an opportunist. He won't mind me saying so - it reflects his on-sight philosophy, one of the few Scottish traditional climbers who takes any opportunity to climb as he finds it, attracted by 'the line'. In bouldering terms he has been quietly repeating the classic lines around the country: last year he repeated King Kong at Dumby, Kayla at Portlethen & the Thirlstane's Chinese Democracy - as well as bagging the first ascent of Tombstone (Font 7b+) at Ben Ledi. 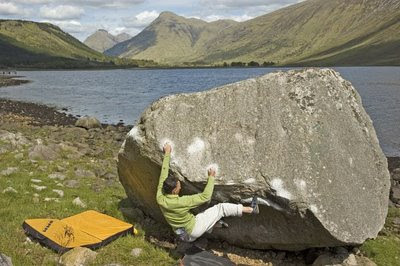 This year he nearly repeated (the last hold was soaking) the hard Out of the Blue at Loch Lomond in 'picnic-style' ie. while out walking (no mat/beta/brushes etc. ), he also despatched The Victorian and Lock, Stock and Two Smoking Barrels at the Trossachs on a single visit... all these done Bristol-fashion! It's good to see Cubby back in action after his injuries and operations... Dave Brown visited him in Glen Etive, where he repeated his own 7b problem on the Micron boulder by the shores of Loch Etive. 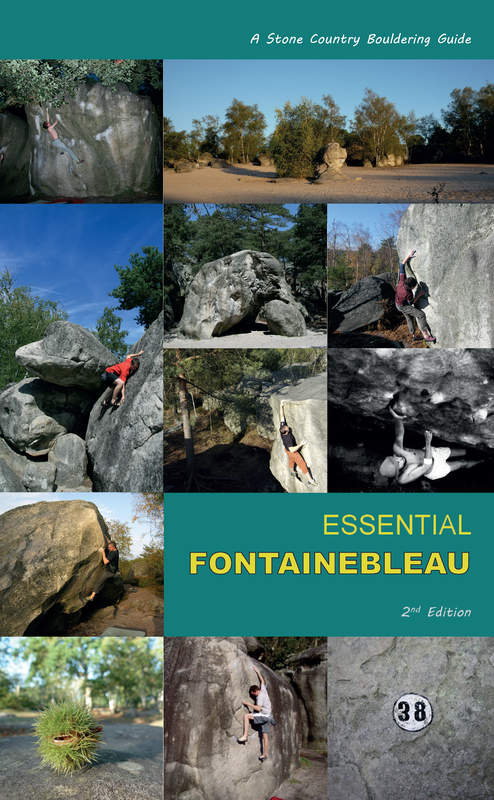 This crimpy, slopey granite testpiece looks a cracker and is a good low one for those of us with less-bouncy knees and hips! Hopefully we'll see some topos or more bouldering photos from Cubbyimages - the site now has some galleries and photographic prints can now be bought direct online. In the North East, Richie Betts has been scouring the backwaters of Strathconon and Strathspey, bouldering away, putting up some fine new lines (a new Font 7a+ at Duntelchaig, for example). He also repeated Malcolm's Arete at Torridon, followed shortly by Lee Collier... these Celtic boulders are some of the best in Scotland and Malcolm's Arete (named after a nonchalent flying ascent by Malcolm Smith a number of years ago) is becoming a classic... try standing underneath it and you'll see how steep and slopey it really is! Michael Tweedley has also returned from injury and made short work of some classic new lines, repeating the Lost Valley's Helicopter - a crimpy dynamic 7a on the Leaning Bloc. 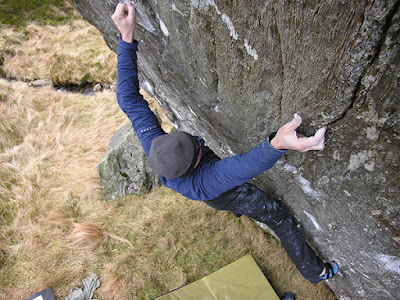 He also completed The Zealot at Glen Ogle, a fine roof 7b, and the Rose Traverse at Cullen, another testpiece 7b. It is good to see the remoter corners of Scotland receiving some higher grades... Ardgour, Glen Nevis, Torridon, Portlethen all showing promise and continuing development. 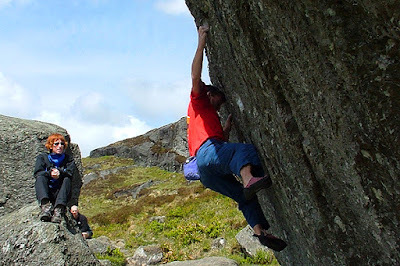 What with the youth coming through strong at the climbing wall comps and on the sports crags, let's hope we see some cutting-edge bouldering escaping the confines of Dumbarton in the future (no disrespect to those who have achieved so much there! ).